Description: Four of the closest building lots to Gore are being sold together providing an outstanding value and opportunity! These lots are located in Evergreen Estates, which is located 1/2 mile south of the Gore Mt access road, and feature views of Pine Ridge. The lots have APA approval and are ready to build on with just the required local and county permits. The taxes per lot are $495/yr for all taxes. HOA fees of $100/yr per lot, which is for private road maintenance only. Directions: Rt 28 in North Creek to Peaceful Valley Road, Evergreen Way is 1/2 mile on right past The Gore Mt access road. Lots are on right side of road to just before the top of hill. Description: Comfortable 3 bedroom 2 bath home featuring large eat in kitchen, living room with LP stove, master bedroom suite, large loft bedroom with plenty of room for the kids to hang out, and only 5 minutes to Gore Mountain and North Creek. Call office for pricing and availability. Directions: From the intersection of Routes 28 and 8 in Wevertown, follow Route 28 towards North Creek, for 3 miles. Home is on left, see sign. Description: Very nice building lot in the Chatiemac Estates subdivision which is within 5 minutes from Gore Mt/North Creek. Lot is ready to build on. The layout rises gently from the road, and has nice views of Eleventh Mt. Directions: Follow Peaceful Valley Road and turn onto A. Hitchcock Road to Chatiemac Estates. Take first right onto Iroquois Trail, and proceed to top of hill. Lot is on right. Description: This beautiful 6 bedroom home offers a touch of seclusion in downtown North Creek. Plenty of space with 6 bedrooms, 3 bathrooms, a 2 car heated garage, and a barn to store your toys. This home is located within walking distance to the school, restaurants, shopping, and a 3 minute drive to Gore Mountain. The property includes a separately deeded building lot. Directions: From Main St in North Creek, turn onto Marion Ave, and continue to Ridge St. Take right and proceed to Pine St on right. Last home on left, see sign. Description: This fully furnished, cozy Adirondack cabin is offered for rent for the 2018-2019 winter season. It features 3 bedrooms, 2 baths and a loft (sleeps 6-7), wifi, direct TV, wood burning fireplace, and opportunities for cross country skiing right out the back door. Home is fully setup for use including washer and dryer and a gas grill on the deck. Offered at $8,500 for the winter season + utilities, plowing is included. Directions: From Rts 8 and 28 in Wevertown, Follow Rt 8 East for 1 mile to a left on Harrington Rd. Description: Located 5 miles from Gore Mountain, this 5 bedroom, 2 1/2 bath, 2 story home is offered fully furnished and move in ready. Set up as a classic Adirondack ski home, with a fireplace in the living room, a 2nd story balcony in the front, and a secluded deck with a stream out back, it would make a great vacation retreat or year round residence. This home also has great income potential as a seasonal or short term rental. 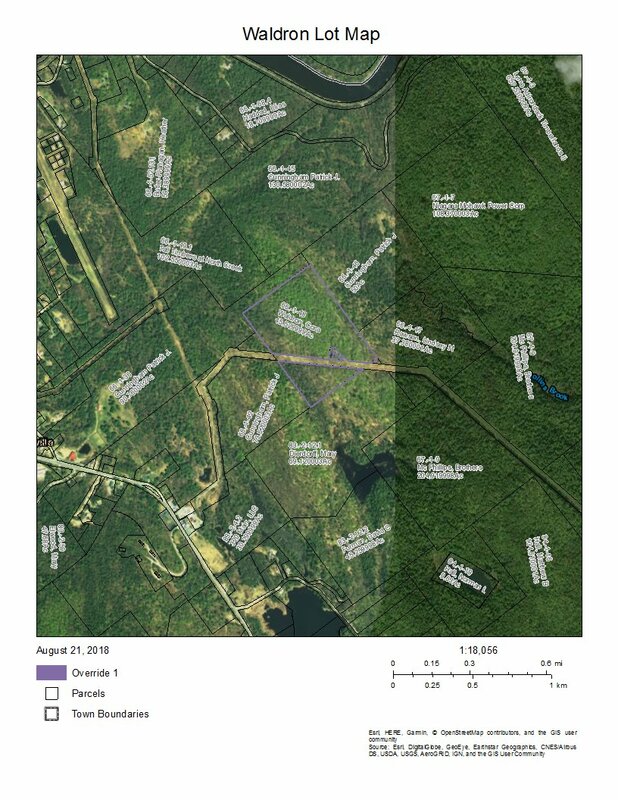 There is also an additional 156.62 adjacent acres available. If you are looking for a home in close proximity to Gore Mountain, with plenty of space and charm inside and out, this may be the home for you. Directions: Rt 8 West to Bakers Mills, home on right, see sign. Description: This 3 bedroom, 2 bath home sits on over 2 acres, only 4 miles from North Creek. Bird Pond Road is peaceful and quiet, yet so close to town and Gore Mountain. The back yard is spacious and beautiful and the home is cozy, charming, and well maintained. This home would be perfect for a couple or small family, or as a great vacation get away. Directions: Take 28N North across the bridge over the Hudson River. Turn right onto Bird Pond Road. The property is approximately 4 miles on the left. Description: A must see is this adorable home located just 2 minutes from Gore Mt! The home has undergone many recent renovations including a new kitchen with granite counters and island, new heating system, on demand hot water, and updated Adirondack themed decor. Enjoy the views of Gore Mt and sunsets as you sit back and enjoy your new home! Motivated Seller!! Directions: From Peaceful Valley go past the entrance to Gore Mt, and take first left on to Durkin Rd. Make left at Y and home will be immediately on the right. Description: The North River Guest House is close to Gore Mt, The Hudson River for paddling, fishing, and whitewater rafting, Garnet Hill XC Ski, Thirteenth Lake, North Creek, Indian Lake, Hiking Trails, Mt Bike Trails. Youll love The North River Guest House because of the peace and quiet of sitting next to the babbling brook, and the close proximity to just about any outdoor activity that anyone could want! $250/night, 2 night minimum + $500 security deposit. Directions: From Rt 28 in North River, turn onto 13th Lake Rd and proceed up hill to 95 13th Lake Rd on left. Description: This a meticulously remodeled 4 bedroom 2 1/2 bath cape located in North River, with a beautiful view of The Hudson River. Featuring a wonderful country chef's kitchen with Garnet counters and island, gorgeous hardwood floors throughout, wood burning FP with brick hearth, a master bedroom suite with tile bath, and an attached, heated, 2 car garage. 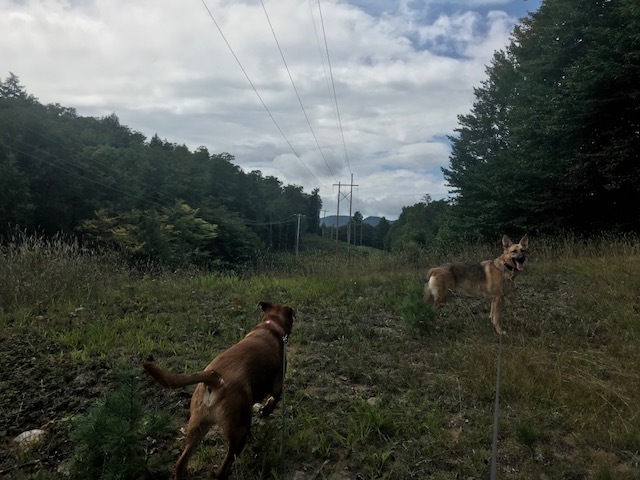 Less than 10 minutes to Gore Mt, and Garnet Hill XC as well as the Siamese Ponds Wilderness, 30 minutes to Lake George and 60 minutes to Saratoga Springs. Directions: Rt 28 to North River. Turn on to 13th Lake Rd, first home on right, see sign. Description: Nice building lot with southern exposure and views of Mill Mountain and frontage along Mill Creek. Lot is ready to build on and is located just 10 minutes from Gore Mt and North Creek, and less than 30 minutes to Lake George area. Directions: From Wevertown proceed West on Rt 8 for approximately one mile to the second left on Washer Hill. Lot is on right see sign. Description: Nice level building lot which would be ideal for agricultural uses including gardening, and farming as well nice mountain views in many directions. The lot can also be subdivided, and there is a an engineered plan available showing possible lot plans. The lot is located just 10 minutes from Gore Mt and North Creek, and less than 30 minutes from Lake George. Directions: From Wevertown, follow Rt 8 to a right onto Oven Mt Rd in The Hamlet Of Johnsburg. Follow for just over 1/4 mile to lot on left, see sign. Description: This 8.5 acre parcel is located approximately 9 miles from Gore Mountain and 3 miles from Garnet Lake. The lot is mostly mature hardwoods with approximately 2 acres of meadow along the 241 feet of road frontage on Garnet Lake Road. Great views of Crane and Huckleberry Mountains with fishing access to Mill Creek across the street. APA approved for single family dwelling. There is a partial driveway in place and a spring located uphill of potential building sites. Directions: Take State Route 8 from Wevertown. In 1.74 miles turn left onto Garnet Lake Road. In approximately 4 miles property is on the right across from Cleveland Road. Description: Ready to stop paying rent? This home is conveniently located just under 2 miles from Gore Mountain Ski Center and less than a 1/2 mile from downtown North Creek. While there is some updating to be done, it is move in ready and all mechanicals are in working order. Includes appliances and many furnishings. Priced well under assessed value and is easy to show. Come and take a look! Directions: From North Creek take Route 28N across the bridge over the Hudson River. Take first right onto Byrd Pond Road. Home is immediately on your right. See sign. Description: This is a meticulously refurbished, century old farmhouse, featuring four bedrooms, 2 full baths, with gorgeous pine plank and stone tile floors throughout! The open floor is accentuated by a wood stove in the family room, plenty of natural light, and a beautiful views of the surrounding mountains and the morning sun. There is a separate lot included across the road which has frontage along enchanting 13th Lake Brook, which flows year round. Located just minutes from North Creek, Gore Mt, 13th Lake and Garnet Hill Lodge, The Hudson River with White water rafting, and Rail Bikes! Directions: Rt 28 to North River, turn onto 13th Lake Rd and follow up hill to the house which sits between Cemetery Rd and 13th Lake Rd. See sign. Description: Enjoy the advantages of this well maintained single level home which is efficient, economical, low maintenance and sits just 5.8 miles from Gore Mt. and less than 5 miles from North Creek. The home has been renovated and features new windows, a new furnace, updated septic, and a new hot water heater. The foundation was designed to extend under the back deck and could simplify in the adding of an addition. If you want to spend your time skiing, hiking, and enjoying all the Adirondacks have to offer without the worries of a larger second home this may be the one for you. Directions: From North Creek take route 28N towards Minerva for just over 4 miles. The home is on the right. See sign. Description: Built in 2010, this single level 2 bedroom 2 bath home is nestled on over 13 acres just off route 28 and is a short 4 minute drive to Gore Mt. and North Creek. This home was built for ease of access, low maintenance, and efficiency. Features include an attached garage, storage shed, rear deck, and a modern open floor design. With its proximity to Gore Mt. and ease of access this property also has great income potential as a seasonal or short term rental. Serious offers considered. Directions: Route 28 on right 2.5 miles before Gore Mt. 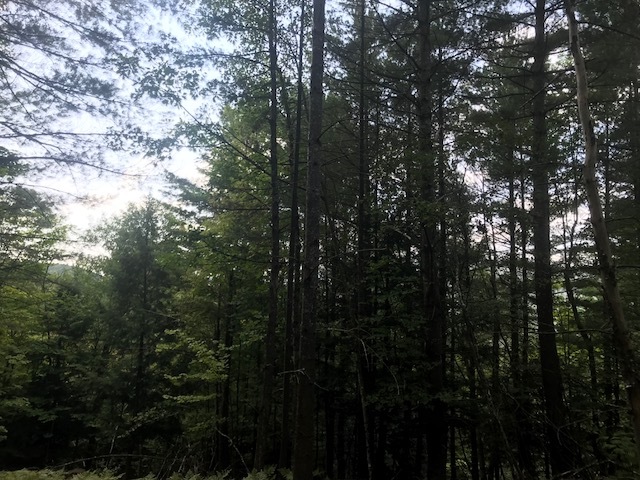 Description: 45 acres of prime Adirondack forest, perfect for a hunting or sporting camp, a wood lot, or just a get-a-way to enjoy the views and peace and tranquility. The timber has not been logged in over 25 years, making for a good investment. The lot has deeded road access, and is just a short drive to North Creek, and Gore Mt. Directions: Off of River Rd in North Creek. Description: Nicely kept moderate sized home, that would be a perfect starter home or an affordable ski house, and less than 5 minutes to Gore Mt., and walking distance to restaurants and shops in town. MOTIVATED SELLER!!. Description: Presenting Hudson River Overlook! Enjoy the beautiful views of The Hudson River while you sip your morning coffee, in this 4 bedroom 2 full bath home, conveniently located on Main St. in North Creek, and a short walk from all of the amenities that downtown North Creek offers! Featuring a beautiful living room with wood burning fireplace and mountain views , custom woodwork throughout, a master bedroom suite with LP stove, and an attached 1 car garage. Come see this home today, priced to sell!! Directions: Rt 28 to Main St to 351. Description: Downtown North Creek Opportunity! Three family home, ideally located on Main St. in North Creek, across from the train station and The Hudson River. Home is in need of complete restoration and is being sold "as-is", but features town water, and it is situated on the map of the proposed Main St. North Creek sewer system. The lot falls within the Hamlet Business 1 commercial zoning, making this a fantastic investment opportunity! Directions: Rt 28 to Main St to 331. Description: Completely renovated 1920's home with open concept floor plan and great amenities, with an ultra-modern kitchen with Samsung appliances and quartz counter tops. The well-appointed kitchen does casual and formal with equal ease. Spacious island seats 4, but stands 12. A separate dining area seats 8. This open-concept home boasts the sophistication of modern living while accented with nearly 100-year old hard pine floors, hand-scraped and restored to their original glory and the original cast-iron heater grate. The original brick chimney stands guard over a casual spot that spills out to a nearly 200-square foot deck with grill and patio dining. The living room features a gas fireplace with a wall-mounted flat screen TV, easily viewable from anywhere in the main level. A mudroom off the main entrance keeps melted snow, coats, and accessories confined to one spot, while hosting a full-size washer and dryer tucked neatly out of the way. The second floor features a master bedroom with full en suite bathroom, queen bed, and a wall-mounted flat screen TV for additional entertainment. The en suite features a large walk-in shower, dual vanity, and walk-in closet. The second and third bedrooms house a queen bed and twin XL beds, respectively. The common bathroom features a walk-in shower and dual vanities. This stunning North Creek home "Just Off Main" street is steps from coffee shops, restaurants, and grocery. The Gore Mountain access road is 5 mins away by car. Call for a showing today!! Directions: From Main St, turn on to Wade Ave, proceed to 9 Wade on right.